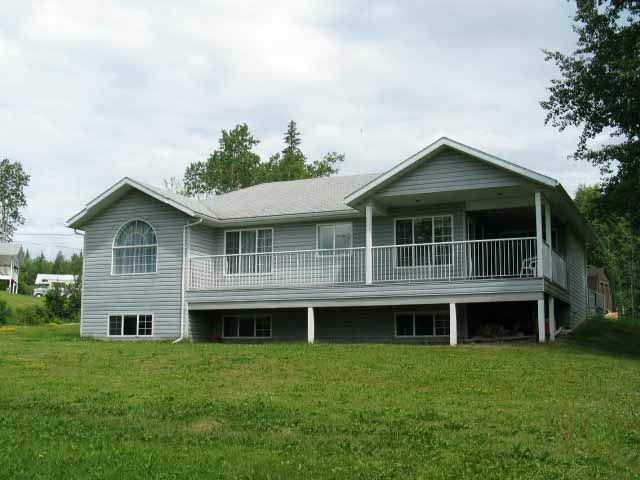 I have listed a new property at 415 BEACH RD in Burns Lake. An upgraded home so it looks like new, less than 3 km from town, on a 5 acre yard that is trimed like a park. This 3 level home has 4 bedrooms, 4 bathrooms, a formal dining room open to a diniing room in the kitchen with 10 ft ceiling. This gives the home an elegent decore. The living room also has a 10 foot ceiling with a fashionable fireplace, highlighed with Crystal Chandeliers. The Living room view has a peek of a lake in the background. The heating is a high efficiency propane furnace or a wood furnace in the detached garage/workshop. To add comfort and healthy living, the home has a Venmar air exchange system amd a plumbed in water distillation system. Both the front and back deck are covered for year round enjoyment.